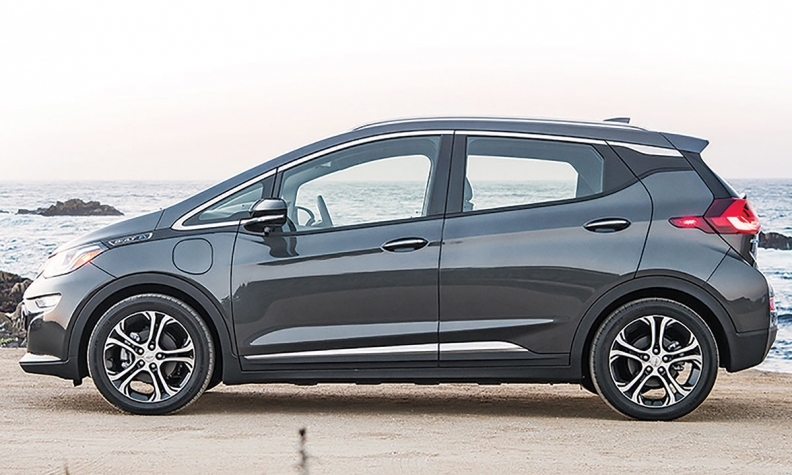 The Chevrolet Bolt stands at the precipice of making commercially viable all-electric driving a reality for Canadians, and early signs indicate that interest across the country will far exceed initial availability of the car. With a range of up to 383 kilometres and an MSRP of $42,795 – and provincial rebates of up to $14,000 in Ontario, $8,000 in Quebec and $5,000 in B.C. – the Bolt is being positioned by General Motors Canada as a car for urban dwellers. Prospective buyers are expected to be heavy Internet and social media users who are influenced by technology trends, observations that tip an early cap to the company’s expected marketing approach. Launch is slated for early 2017, which means dealers are now at the stage of signaling their desire and intent to add the Bolt to their inventory. This requires a commitment from each dealer to install a Level 3 charger on its premises, add new equipment to its service centre and invest in additional training for staff. No one interviewed knew the cost of those investments, but the Rocky Mountain Institute in a breakdown of electric-charging-station costs pegged Level 3 chargers at between US $50,000 and $100,000 (about Cdn $66,000-$132,000) to buy and install, with annual operating costs estimated between US $1,000-$3,000 (about Cdn $1,300-$4,000). Dealers interviewed seemed prepared to make those investments; not one expressed concern about the preparation costs and said either that the Bolt will do well enough in their market to make the costs of little concern, or that being ready for EVs was an inevitability and they might as well swallow the cost now whatever it might be. Smaller dealers not taking the Bolt were more concerned about disinterest in EVs in their local markets in general than about up-front costs. In the urban markets that are already EV hot spots, dealers not only can’t sign up quickly enough but are already expressing concern that there won’t be enough inventory to keep up with demand. Traditionally, interest in electric vehicles drops off sharply outside of large cities. But the Bolt is, for a variety of reasons, proving to be the exception. “From our point of view it’s inevitable,” says Jeff Hewitt, general manager of Brian Cullen Motors in St. Catharines, Ont., while noting that his dealership will need to make considerable investments despite already being a Volt and Cadillac ELR dealer. “I think everybody’s going to have to get there eventually if you’re going to be in the market. In St. Thomas, Ont. – where not even the long range of a Bolt could get it into Toronto and back on a single charge – interest is equally high. Outside the three provinces with consumer incentives, there are plenty of pockets in smaller cities and towns where dealers are signing up. Sherwood Chevrolet in Saskatoon, Sask., another dealer based in a small city in a no-incentive province, has indicated interest as well. Of course, the fairy tale does end at a point. Some dealers in more isolated markets simply cannot justify the expense of the required infrastructure investments when they don’t see enough buyer demand. Township Chevrolet in Summerside, P.E.I., used to keep Volts on inventory a number of years ago, but Sales Manager Eddy Shea stopped ordering them. With higher-range EVs such as the Bolt hitting the market, will that situation change one day?